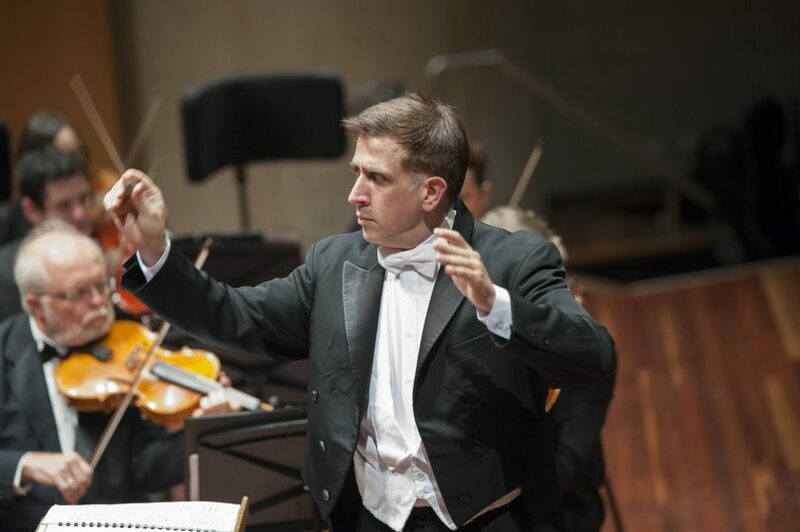 The Canberra Symphony Orchestra under the baton of its conductor and artistic director, Dr Nicholas Milton. Photo: CSO. The Canberra Symphony Orchestra has added and an extra concert to its flagship ActewAGL Llewellyn Series for the 2018 season, launched last Thursday night at the National Portrait Gallery. The CSO will also for the first time include an Artist-in-Focus initiative to showcase an extraordinary musician in concerto, chamber music and recital performances throughout the year. It has selected celebrated Australian cellist Julian Smiles as its first CSO Artist-in-Focus for 2018. CSO conductor and artistic director Dr Nicholas Milton said Canberra-born Smiles was one of the country’s most versatile performers. “Julian is a dear friend to the CSO and a wonderful colleague who will inspire all of us with his consummate musicianship,” Dr Milton said. Smiles studied cello with Nelson Cooke at the Canberra School of Music and received his early orchestral experience with the CSO. He is currently cellist with the Australia Ensemble and the Goldner String Quartet. The CSO will also honour home-grown musicians and composers with its second Australian Series, in partnership with the National Portrait Gallery. “We will see outstanding Australian instrumentalists, including some of our very own CSO musicians perform three different, one-hour concerts,” Dr Milton said. The series is curated by Dr Matthew Hindson, an Australian composer and Deputy Head of School at the Sydney Conservatorium of Music. Dr Milton said the Llewellyn Series had been expanded to five concerts with an eclectic mix of symphonic masterworks as well as Australian composer Paul Stanhope’s personal response to Indigenous music from Arnhem Land. “We look forward to sharing with you a vibrant series of concerts that will invigorate your senses, elevate your spirits and open your hearts to a transcendent world of exquisite beauty, expressed through music,” he said. The afternoon Recital Series will showcase solo artists in the intimate setting of Wesley Music Centre in Barton from 3pm. Hotel Hotel will host Strings in the Salon, while music lovers can also look forward to the Shell Prom, CSO Opera Gala and Canberra Weekly Matinee Magic. The CSO’s versatility will also come to the fore next March at Stage 88 when Symphony in the Park will rock to the Killer Queen Experience, featuring the music of Queen and Freddie Mercury. Meanwhile, celebrated horn player and former Canberra School of Music teacher Hector McDonald returns to the Canberra stage for the first time in 30 years this week when he joins the CSO for two concerts on Wednesday and Thursday at Llewelyn Hall. Celebrated horn player Hector McDonald return s to the Canberra stage this week. He will perform an exciting and challenging repertoire, including the hauntingly beautiful Strauss Horn Concerto No. 1. 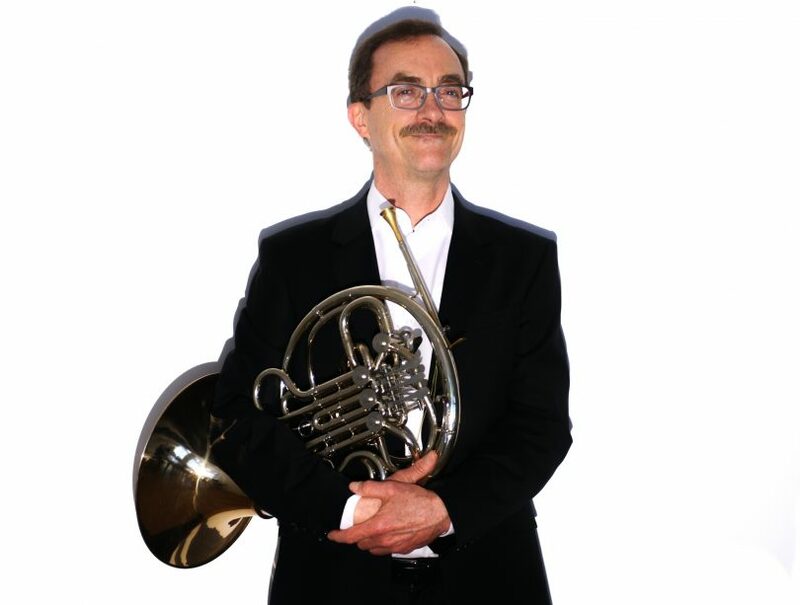 McDonald has been principal horn with the Vienna Symphony Orchestra and Concentus Musicus Wien since 1989, performing on the Vienna, Baroque, Classical, natural, and modern double horn. Several of his star pupils will return to Canberra be part of this concert – including horn players now based in Perth and London. McDonald said he was looking forward to return to Canberra and reuniting with former students and old friends, as well as revisiting some of his old haunts. He said the Strauss was a difficult but rewarding piece that held strong memories for him. “I managed to play this in the ABC concerto competition as a very young man and played this with the Sydney Symphony as part of the last round of the competition,” he said. He will work with Dr Milton for the first time despite both living and working in Europe. “Richard Strauss’ Horn Concertos are among the most demanding solo works for this notoriously temperamental instrument. While many horn players have cursed Strauss for this, Hector McDonald will make the challenging concerto sound effortless and exceptionally beautiful,” Dr Milton said. Other pieces that will be performed include Prokofiev’s Symphony No.5 in B flat major, and Borodin’s Polovtsian Dances from Prince Igor.